Hon Jeff Kennett AC is one of Australia’s most recognisable political leaders and widely regarded as one of its strongest. He entered the Victorian State Parliament in 1977 and was elected Leader of the Opposition in 1982. Under his leadership, the Liberal-National Party coalition was elected to government in 1992, with two-to-one majorities in both Houses of Parliament – a position unparalleled in almost 140 years in the state – and returned to office in 1996 with a net gain in representation across both Houses. Under his premiership, Victoria earned the reputation of being Australia’s most reformist state, implementing reforms to the Victorian public service, leading Australia in the privatisation of public utilities, reducing the State’s deficit from $33bn to $5.5bn, reinvigorating the economy, reinstating confidence amongst the Victorian community, and taking the state to the world. 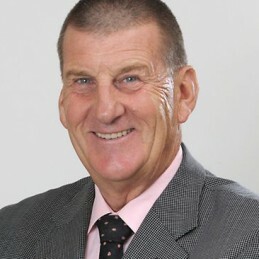 Jeff Kennett is the founding Chairman of Beyond Blue, the national depression initiative, and was for seven years President of the Hawthorn Football Club, during which time the Hawks played four Finals series, won their first Premiership in 16 years and nearly doubled their membership base. He is currently Chairman of Open Windows Australia Proprietary Limited, CT Management Group Pty Ltd, Amtek Corporation Pty Ltd and LEDified Lighting Corporation Pty Ltd. He is a Director of Equity Trustees Limited and Patron of The Royal District Nursing Service and Sovereign Hill Ballarat, as well as being associated with many other community organisations. In 2005 Mr Kennett was awarded the Companion of the Order of Australia. He is a fascinating man and an outstanding edition to any event.